No hookups, no cost, free overnight parking is allowed. No need to sign in. Plenty of wide open parking space, tons of room to turn around even for big rigs. 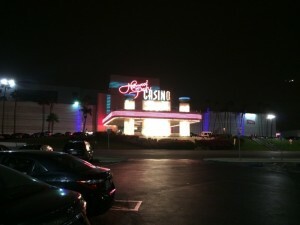 and level, this casino is close to Los Angeles.